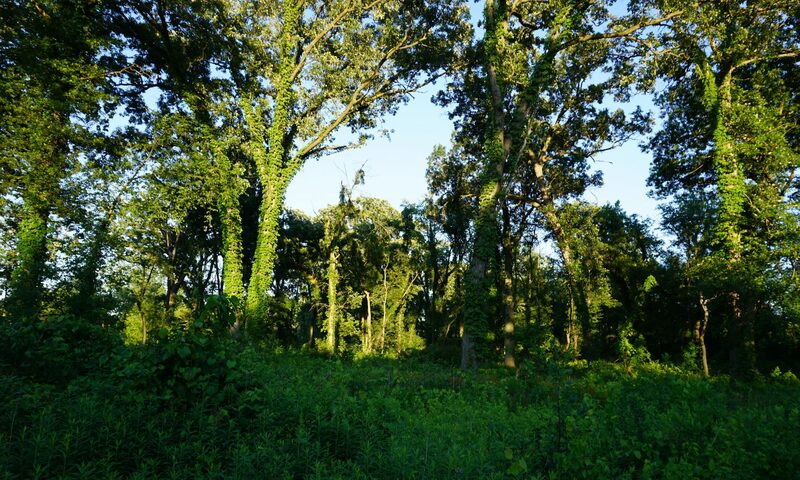 At one point, Oak Savannas covered much of the midwest — nearly 30 million acres — from Ohio to Missouri. After a few hundred years of settlement, farming and city-building, less than 1/100 of one percent of the original area remains Oak Savannas, making this one of our most-endangered ecosystems. Oak savannas yield unique combinations of light levels, soil moisture, pH, and organic matter which support over 600 species of plants, butterflies & moths, nesting birds and bats, mushrooms, and other rare, threatened and endangered species. Oaks are drought and heat tolerant, making them relatively well-adapted to future climate impacts. Due to their longevity, large stature, and vast canopies, oaks provide significant carbon storage, mitigate urban heat island effects, and reduce energy use in buildings. A large oak can reduce 5,400 gallons of stormwater runoff and remove more than 1,000 pounds/year of carbon dioxide from the atmosphere. All told, our region’s oak ecosystems provide over $2 billion worth of flood control and other water management services. Several groups, like the Morton Arboretum, Lake County Forest Preserves, Tallgrass Prairie and Oak Savanna Fire Science Consortium, Illinois Forestry Association, USDA Forest Service, US Fish & Wildlife Service, National Resources Conservation Service, and Chicago Wilderness, are trying to help preserve, restore, and expand oak ecosystems across the region. A new program is helping even private landowners pay for restorations and helping residents learn techniques for returning their land to savannas and woodlands so oaks can thrive again, contributing $2 million towards brush management, weed control and prescribed burns. “This is in a sense our rainforest, our national heritage,” says Craig Maier, Coordinator of the Tallgrass Prairie and Oak Savanna Fire Science Consortium.